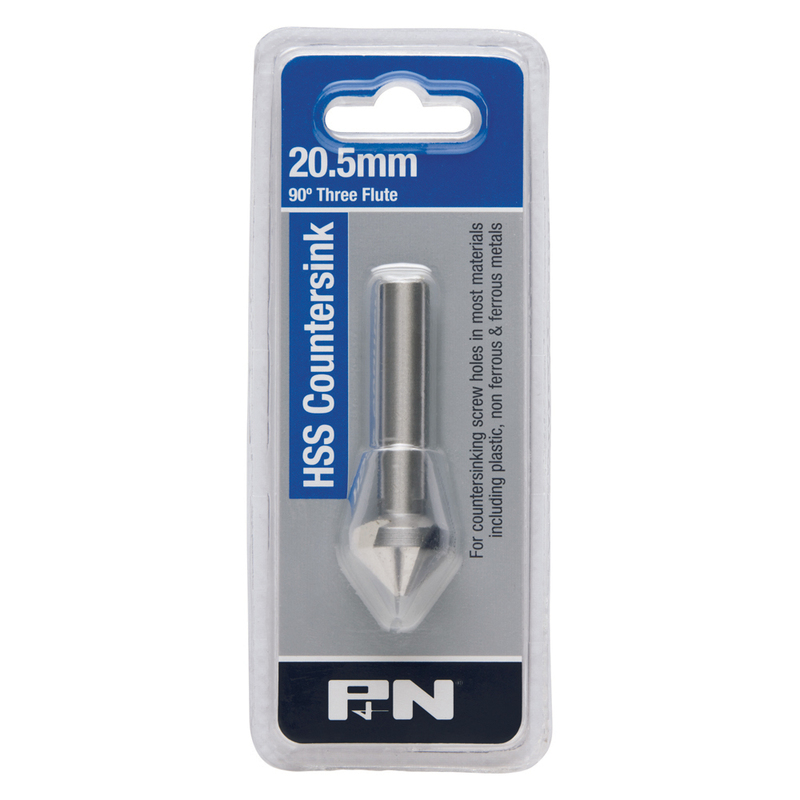 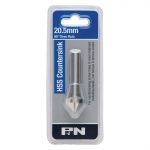 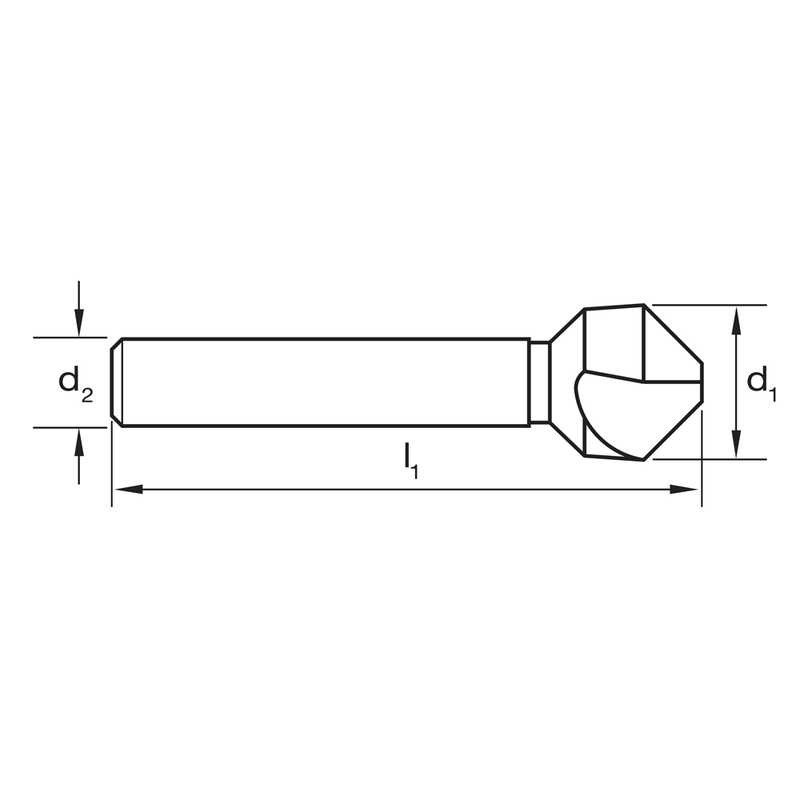 P&N Workshop 90° Three Flute Countersink for countersinking / counterboring screw holes. 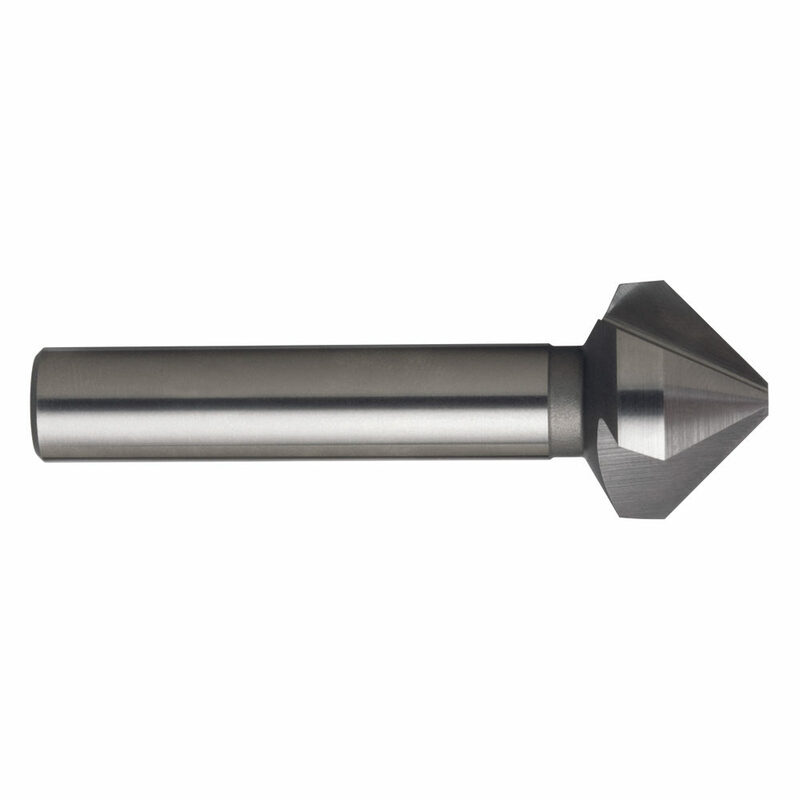 Made from High Speed Steel for use in steel, tool steel. 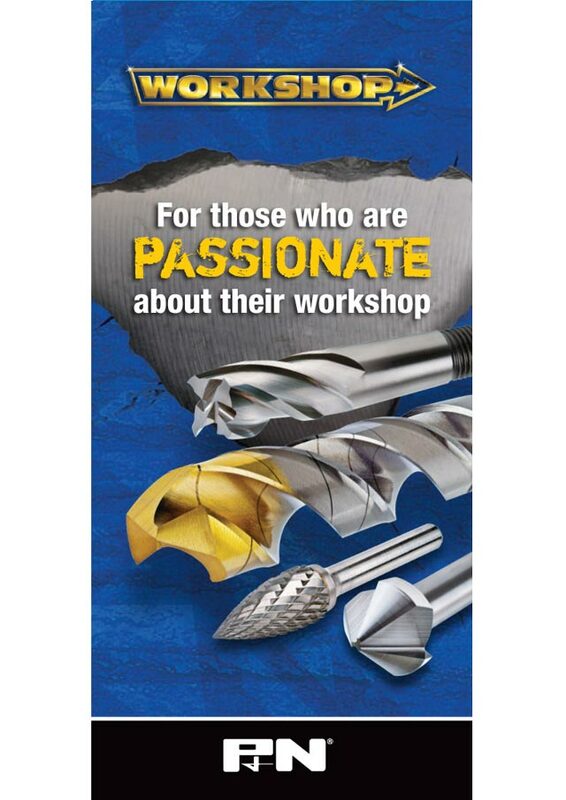 Stainless steel, cast iron, brass & aluminium. 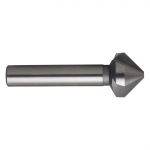 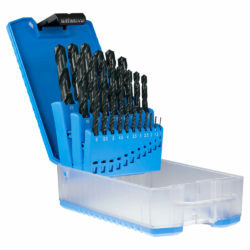 Can be used in portable & pedestal drilling machines.